Wanda Jackson reviews "Under The Influence"
The Sentinel's Wanda Jackson pops in with a nice review of the "Under The Influence" show that I recently curated for Prince George's County. See the review here. A nice surprise is also coming to some of the selected artists: The county is going to buy several of the works for the PG County Art Collection... names later! This is a detail of "Superman" by the very talented NYC artist Carla Goldberg. 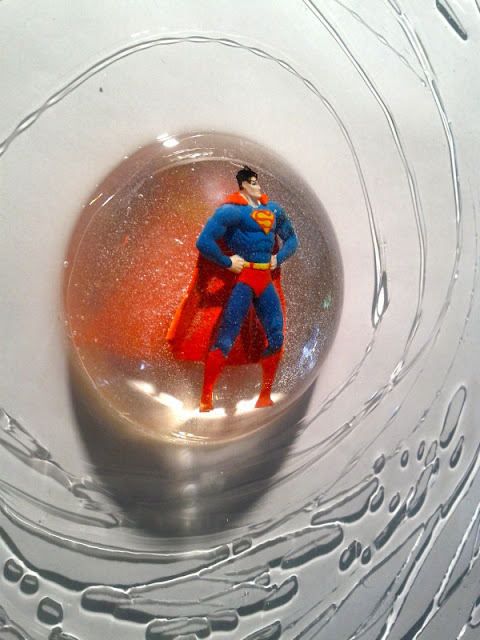 This brilliant mixed media sculpture will be part of the "Superheros and Super Villains" exhibition at Aqua Art Fair in Miami Beach next week - room 116!